There hasn't been a shortage of 4K UHD video downloaders for a long time. But for Mac users, it is not that easy to grab 4K UHD videos from YouTube, or other video sharing sites. It takes some time to dig out the best 4K video downloader for Mac 2019 that not only supports macOS Mojave but also saves 4K videos without crashing or stuttering. Here lists out top four nominees for your consideration. Here are some criteria to judge a 4K UHD video saver for Mac. The first thing to consider is the 2160p videos download feature (whether or not support various 4K video sites). The next thing you should care about is whether the software can save 4K UHD video on Mac with original output quality. Stability also counts a lot. Additional features like converting/editing/compressing 4K UHD videos are pluses. MacX Video Converter Pro gives you the ability to free download 4K Ultra HD video from YouTube, Vimeo, Vevo, Dailymotion, etc. 1000+ sites in whatever format (MP4, AVI, MKV, FLV, etc.) with 16X faster than before and 5X faster than other competitors, thanks to the advanced Intel QSV/Nvidia/AMD GPU hardware acceleration tech aids. When you log in with your YouTube account, you're also allowed to directly save your YouTube playlist to your laptop for later watching offline. Resolution, video codec and format are available for you to choose from based on your final YouTube 4K video playback device. After the 4K video downloading, you may find the Ultra HD video file size is a little bit larger for your mobile device or storage device. In such case, you can apply this 4K video converter to compress 4K video to 1080p, shrink 4K video to 720p or transcode 4K video from H264 to HEVC with 50% - 90% size off. What's worth a mention is that the built-in video editing feature helps you cut, crop, merge, rotate, split YouTube 4K videos, as well as add special effects to YouTube to customize it. This program didn't even stutter a bit. The whole process was finished smoothly. Digiarty Software, Inc. the developer of MacX Video Converter Pro stated that the program uses Intel/Nvidia/AMD GPU HW acceleration techs and hyper-threading tech, so it won't freeze during the 4K UHD video download on Mac. It has clean interface with common functions button on the top for users to choose from and is very fast for novice users to get hang of it. There are more features we love to use. You can convert 4K UHD video to MP4, AVI, MOV, WMV, MP3, 3GP, over 420 video audio formats on macOS. Just 3 mouse clicks to convert 4K videos to iPhone, iPad Pro, Samsung galaxy series, Sony, Huawei, Xiaomi, OPPO, game consoles, etc. Summary: 9.6/10 - This 2019 best 4K video downloader has almost everything you need included, e.g., download, convert, resize, edit. That's not the end. Its powerful Intel/Nvidia/AMD hardware acceleration techs are also the trump card to compete with its peers. As an all-inclusive toolbox, it can also work as a DVD ripper and video recorder to let you backup DVD movies to digital formats and capture Mac/iPhone screen video. This freeware will never disappoint us in download speed. It only took within 30 seconds to save a 3-minute music video in 3840 X 2160 from YouTube, Vevo, Vimeo, Dailymotion, Metacafe and many more. Another thing we were impressed with was this 2160p video downloader for Mac 2019 is able to download 4K videos movies on Mac with zero quality loss. The output 4K samples music videos were the same as the original in quality. We didn't see any quality degradation. 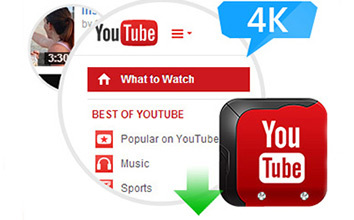 Users should use 4K Ultra HD video player to enjoy 4K sharp image. We didn't encounter any problem when using this tool on macOS. It's fast in responding and downloading. One thing worth noting is that many programs crash or stutter halfway because 4K UHD file size is much bigger than that of HD or SD. Its simplicity made us spend less time reading its user guide. 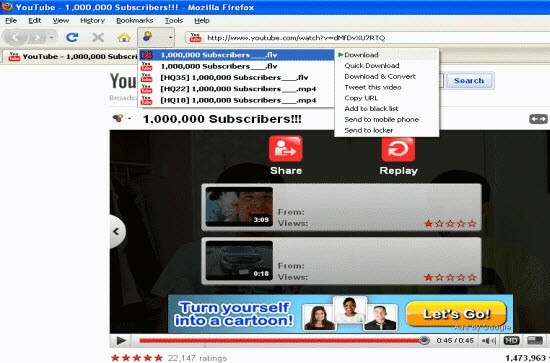 Just copy paste video URL, and click "Download Now" button. 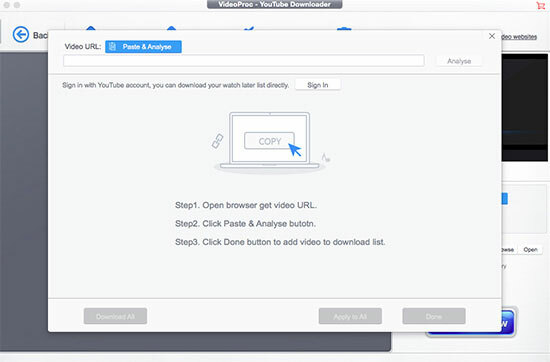 Plus, the best 4K UHD video downloader can auto detect and analyze the video opening on the web. MacX is a fantastic tool for free 4K ultra HD video download on Mac. Frequent update, technical support, ads free and virus free, these make it even more attractive. Have to admit that it is really lucky to own such a perfect 4K video downloader without spending a penny. We've tested the software to save 4K content from YouTube on Mac, the speed is satisfying. Actually, this program itself didn't speed up the whole process. Computer and internet connection decided how long it took to download 4K ultra HD videos on Mac. We haven't noticed that this utility messed up the quality. And we found that users can extract audio with 80% - 90% quality reserved. Generally, this freeware for macOS worked fine, except for the 4K Video Downloader error occurs, like error: can't parse the video link/can't download video, etc. It is simple to use for inexperienced users. Summary: 8/10 - This 2019 4K video grabber for Mac is free and clean, enabling you to download 3D video from YouTube, Facebook, Dailymotion, Vimeo. But only a few formats are supported, MP4, MKV, FLV. This is not compatible with latest macOS Mojave. It only can be used for Mac OS X 10.9, 10.8, 10.7. We had to wait until the 4K movie trailer/sample/footage was fully loaded and buffered. The download speed could be horrible when the connect was bad. We lost our patience sometime, but the 4K video capture software for Mac saves everything. Some of the output audio was screw up but not terrible. Some Firefox updates may make it stop working. It is not easy to understand how to use at the beginning. People who are not technical minded may give up this software. Summary: 7.8/10 - The 4K UHD video downloader for Mac only works on Firefox, not Chrome or Safari. Overall, the plugin for 4K Ultra HD 1080p video download on Mac can be better.